I admit to having a bit of a weep last night. It was cold and I thought it too early to put the heating on. Then I thought about how cold it is going to get if I don’t find work and can’t afford to put the heating on at all. Chaplin, meanwhile, kindly spread across my feet and warmed me up a bit. Like many, I have a pay-as-you-go gas meter. This was in place when I moved in to my home and when I asked gas companies to remove it I was given a firm “no” or told I’d have to pay a deposit, the lowest being £180. I have asked repeatedly. I have asked different companies. For ten years. I have a card which I top up and then insert into the machine to get access to gas. If this runs out and the gas goes off I have an emergency reserve of £6. If that runs out and I have no time to run to the shop to top up the card I boil the kettle to have a wash.
I’ve spent winters putting my coat over my pyjamas to run out into the street and switch on the emergency when the gas goes off. I’ve been out in all weathers but only once falling, with an undignified bump on my bum, in the snow. It once broke down, late at night in Winter, so I called British Gas to tell them it needed to be fixed urgently. “What’s wrong with the machine?” The woman from British Gas asked in a relentless monotone. “What? !” I can’t report the rest of the conversation. I put my coat over my pyjamas and tip-toed out, using my mobile phone as a light, but still had to guess it was the battery. I couldn’t be certain because the “fault diagnosis” seemed to be written in shorthand. FLT BTRY (or something like that). Thankfully, that Teeline shorthand training didn’t go to waste and I wasn’t fined for being wrong. This, though, was further proof that they rip us off at every available opportunity: their equipment fails and we could be fined. Four million households in England were classified as being in fuel poverty in 2009 – 18% of all households – according to The Poverty Site, which also states that “single-person households are more likely to be in fuel poverty than either couples or larger families.” Across 2007 to 2009, it states, around 35% of single pensioners and 25% of working-age singles were in fuel poverty compared to around 20% of lone parents, 15% of pensioner couples, and 5% of working-age couples. 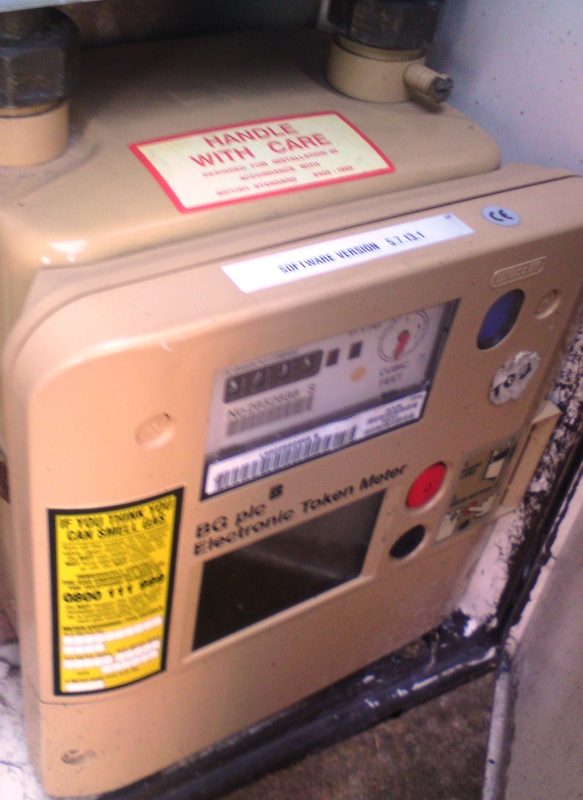 Many of these households have gas meters – the downside of which are simple and many: You pay more for your gas – prepayment meters are normally the most expensive way to pay; if you can’t afford to top up your card then you have no gas; you have to get to shops to top up your card, which is a problem if they’re closed; and you don’t have the sensible luxury of spreading the cost of larger winter bills over the whole year. The poorer you are, the more you get kicked in the shins. Anyway, it all got a bit much last night as I imagined a winter where such a conversation with British Gas would be a luxury because at least I could put the heating on when it is fixed – now I know I will be drinking hot tea, dressed in layers and wrapped in a blanket. I’ve never coped well in the cold – and chilly feet can lead quickly to self-pity. Self-pity, though, can be replaced as quickly by anger and was when I saw that I Don’t Know How She Does It is in cinemas soon. I hated the book almost as much as I hate the cuts: A well-paid single mum with a nanny whinges about how difficult she finds it to go to work. I’m not sure now is the time for such a film, while low-paid single mums with no help struggle with more than one job, closed down Sure Start centres and rising food and energy prices. The I Don’t Know How She Does It character is walking evidence of the need for a tax levy on the highest earners – and I can guarantee there isn’t a scene where she goes without heating. This entry was posted in Journalism, Media, Newspapers, Unemployment by unemployedhack. Bookmark the permalink. Great blog, hope you find a job soon. Ha ha! Thanks for that. Excellent! I was lucky to find your unemployedhack.wordpress.com blog. Thanks for taking the time to discuss this, I feel strongly about info and I love learning more on this. If possible, would you mind updating your blog with more information? It is very much helpful for me. i could not have put it better myself. It’s as though you are writing about my life at the moment.